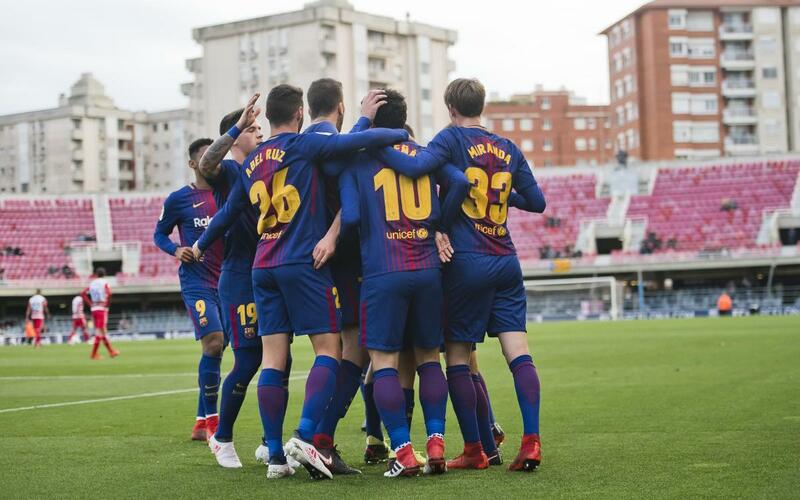 Barça B were excellent value for their 3-0 defeat of Granada on Saturday, a result that has pulled them out of the relegation zone, pending the outcome of other games later this weekend. Carles Aleñá, Juan Miranda and Marc Cardona got the goals against a side that are battling to return to the top flight. Aleñá’s goal was a dent strike from relatively long range that got the blaugrana into the driving seat after just ten minutes – and try as they could, their Andalusian guests could find no way to truly trouble Barça keeper Adria Ortola before the break. The Catalans regained control of the game after the restart and U19 team player Miranda latched onto a loose ball from a corner to extend the lead. The home side opted to defend their lead and only trouble Granada on counter attacks, and it was from of those that substitute Cardona broke through on a one-on-one with the keeper to secure the three points. Next week, the reserves have the chance to collect some more much-needed points as they visit relegation strugglers Cordoba.